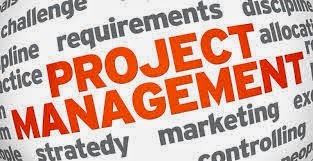 @KCCEmpowers: Turn Up Those Project Management Skills! The quality of management has a great impact on the quality of output of any project. This is the reason why every company makes sure their projects are only handled by managers with excellent project management skills. >> How to demonstrate those skills on your resume. Organization skills- There is a lot that a manager has to handle daily. This is the reason why every manager must have excellent organization skills. They must follow up the project’s status and issue day after day. Multitasking- The list of responsibilities that lie on the shoulders of a manager is extensive. There are a lot of things that a manager has to take care of, which is why multitasking comes as the second important skills required for effective project management. Effective communication- There are many human components involved in the project management cycle. Knowing how to communicate vision, delegate tasks, and provide effective feedback at different levels is imperative to getting things done right. Excellent negotiation skills- More often than not, managers have to negotiate. Sometimes with their team members about the kind of result he expects; and sometimes with the management for the kind of results that can be delivered, and so on. If a manager is shy and hesitates to negotiate, he or she will soon find themselves burdened under false expectations and insufficient results. A good project manager will negotiate the expectations of the stakeholders, and simultaneously negotiate it with his team members and get that delivered. Giving priority to details- There is a lot that can be corrected and improved when you use a fine tooth comb to smooth things out along the way to project completion. Sometimes it is the smallest detail that can make a big difference in the quality and the quantity of results. Problem solving skills- Murphy’s law always seems to have a way of getting in the way when you are on a roll. Keen problem solving is one of a project managers most valuable skills. Barriers to the desired project results require flexible and innovative problem solving to come up with a suitable solution for those pesky problems. If you have the aforementioned skills, pat yourself on the back. If not, no worries. You can always work on your project management skills. Nothing is impossible if you are dedicated and passionate about learning. I always recommend starting with an honest assessment of your current skill set. A free assessment like this one by MindTools can give you an idea of where you stand. After you have the results, a good deep reflection on your personal and professional priorities will help you identify which skills can be gained through current employment, volunteer efforts, self education, certifications, workshops, or formal education. 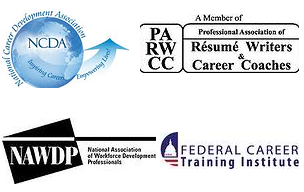 >> If you go the certification and formal education route, make sure you list your credentials in your education/certification section as well as your professional summary. >> Make sure you back up those credentials and skill proficiency with accomplishments that demonstrate your project management skill. >> For example: Instead of listing your duties, summarize project outcomes into a 1-2 sentence bullet. What free workshops or low cost certification programs have you used to gain project management skills? Share your insights for others below in the comments!